The weather has been hot and so has the fishing, albeit a bit spotty in location. There are places we just cannot fish at present due to the cow nose rays making an absolute mess of the shallows. 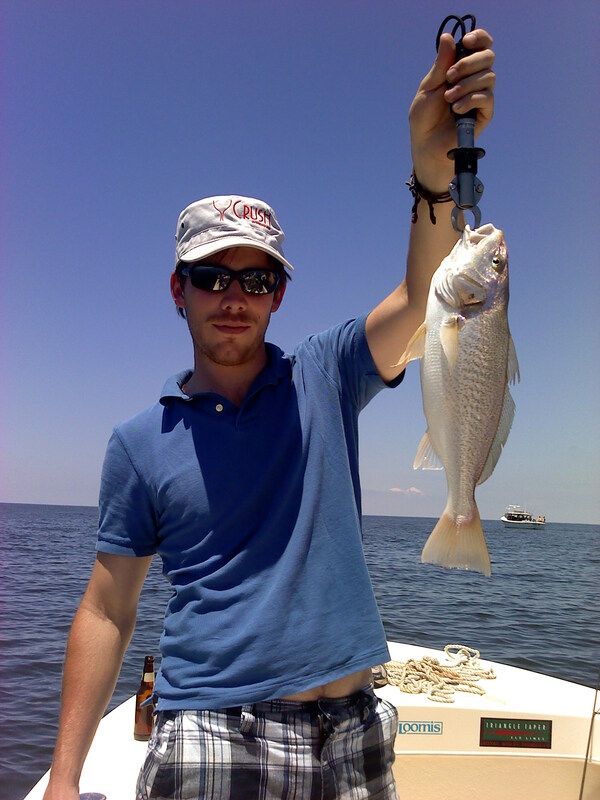 Once we do some searching however, we generally find rockfish, blues and a few big croaker eager to eat! Wednesday, I had two great guys in Joe DeMeo and his buddy Lou. I had them get up very early to take advantage of first light, but by 8:00 A.M. we had caught only nine stripers. So much for missing breakfast to catch the hot morning feed. Not to worry, after moving a few times we finally found a nice pocket of fish and had some super shallow-water rockfish action for the next couple of hours. Most of the stripers were school-sized fish of 16 – 22 inches and put up a great fight in the skinny water. We tried bluefish later in the morning but they just wouldn’t cooperate, but the morning rockfish bite made the day a tremendous success. Thursday was a white perch outing (black perch to the old-timers on the shore) with Jerry Schultz and his wife Janet. They had all the action they could handle with fat, good-eating perch after just three hours. We cut the half-day trip short as they had more than enough for the freezer and some fresh fillets for a weekend pan-fry. The tidal creeks of Tangier Sound are currently crammed full of fat white perch and some big rockfish for those wanting to dunk a bit of peeler crab. Friday I had some brand new clients fresh from California. Joe McCullough and his two sons Dan and Michael had just a super day with stripers in the morning and bluefish and big croaker after lunch. The blues were especially abundant, and fun, as they averaged two to four pounds with several becoming airborne like miniature tarpon. What a blast this was for three fellows that haven’t done much light tackle fishing. The guys did real well and I think they’re hooked. 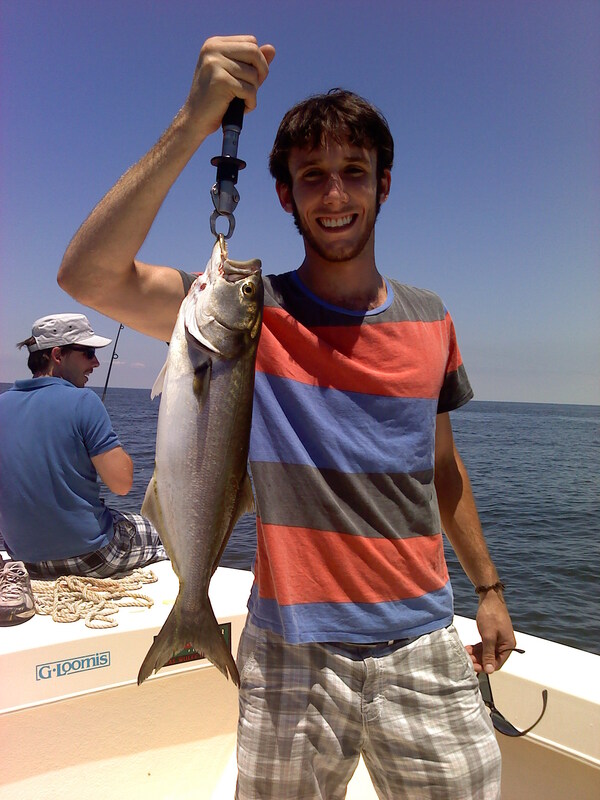 This bluefish action is just starting to heat up and should last for the remainder of the summer. This is great fun on light spinning and fly tackle for anyone wanting to test their endurance. 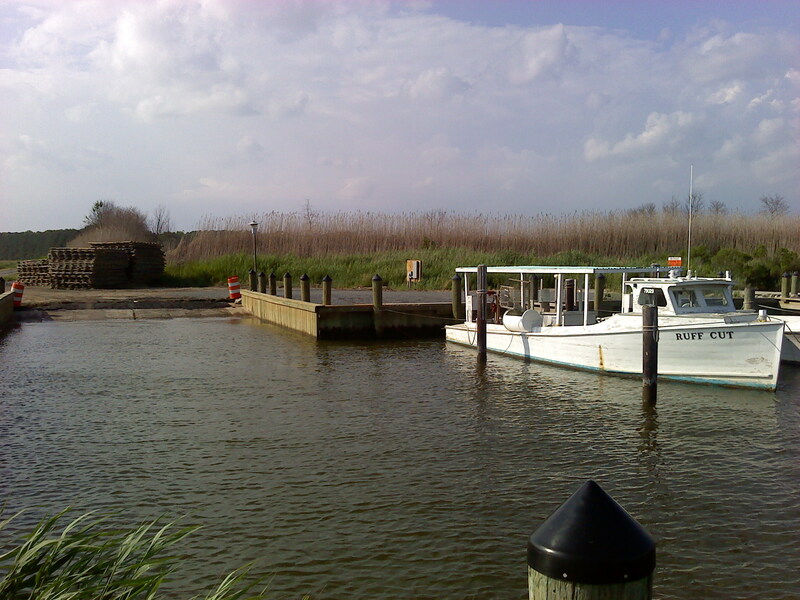 Friday, I had a trip out of Elliott Island in Dorchester County. Talk about a trip to nowhere! About 19 miles due south of Vienna winding through some of the prettiest marshland you will find on the shore. The day was beautiful except for the wind. A strong southerly breeze when combined with big cow-nosed rays cruising the shallows gave us some of the muddiest water of the week. We cruised Fishing Bay and up into the Honga River in search of clean water without much success. The guys learned a lot about the area and we still had a great outing.